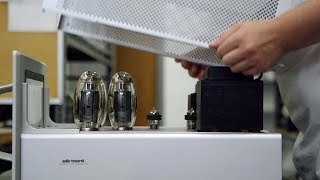 Does a $30,000 preamplifier matter? 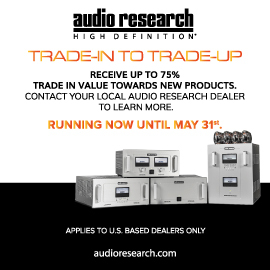 Or does any audio component matter that’s priced in the tens of thousands of dollars? To the überrich, maybe, or those who can’t afford but enjoy simply reading about really expensive stuff. But to most people, the very expensive gear doesn’t matter. I believe that the audio equipment that matters most is the gear that most people can afford, which is why I keep my reviewing focused on affordable gear. Sure, I dabble in the expensive stuff every so often, particularly if a component truly represents the state of the art. But what I sink my teeth into most often is the equipment that I and my neighbors can easily buy. 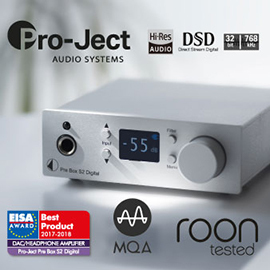 An example is the Canadian-made Simaudio Moon 350P preamplifier, which sells for $2500 USD in its base configuration, or $3000 including the phono-stage-and-DAC upgrade (they can’t be purchased separately). 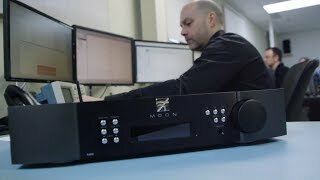 The Moon 350P, Simaudio’s least-expensive preamp, is something the typical audiophile can afford, and that’s why I wanted to review it. The Moon 350P measures about 17"W x 3.5"H x 13"D, weighs some 15 pounds, and is decidedly unspectacular to look at. Whether wearing its black faceplate or dressed up in silver, its styling is basic at best. But the 350P is a perfect visual match for the Moon 400M monoblock amplifiers, which I reviewed in May. Appearance aside, the Moon 350P is versatile, well built, and rich in features. Its all-metal chassis is sturdy and durable and will probably last a lifetime, and its fit and finish are very good. The volume control is sufficient but feels a little flimsy. 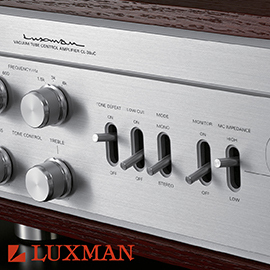 On the 350P’s rear panel are six sets of inputs, two balanced (XLR) and four single-ended (RCA). 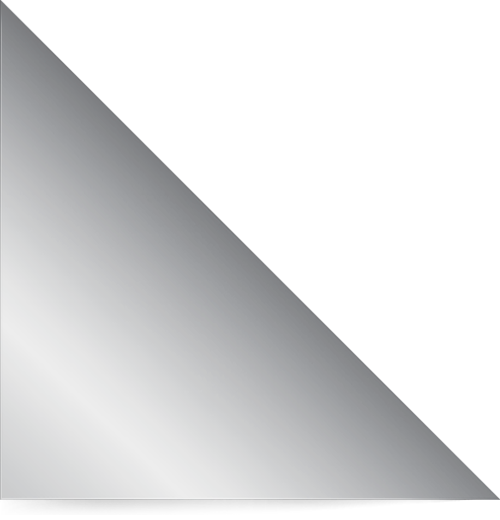 One of the latter (A2) can be configured as a home-theater bypass for connecting a processor or any other device with its own volume control. There are also two sets of singled-ended RCA analog outputs (one variable, the other fixed), one set of balanced XLR analog outputs (variable), and two more sets of single-ended RCA connectors (one set each for output and input) for use as a monitor loop. Near the main power switch are five more connectors: the IEC power-cord inlet, an RS-232 port, a 12V trigger output, and, finally, a SimLink input and output so that the 350P can talk to other Simaudio components for more automated operation. If you buy the 350P’s DAC-and-phono-stage option you get four more digital inputs -- two RCA-based S/PDIF, one USB, one TosLink -- and the rightmost single-ended RCA input (labeled A3/PH) becomes the phono input. At the heart of the 350P’s DAC section is a 24-bit/192kHz Burr-Brown chipset. The S/PDIF and TosLink inputs accept signals up to 24/192, while the USB input is limited to 24/48. The phono module accommodates moving-magnet or moving-coil cartridges, and can be adjusted for gain (40 or 60dB), capacitance (0 or 100pF), and impedance (100 or 47k ohms). The front panel is sparsely populated. At the right are the volume knob, a 1/8” minijack labeled MP In (presumably for Music Player Input, for a portable audio device), and a 1/4” headphone jack fed by a discrete headphone amplifier -- handy, but as I’m not much into headphones these days, I didn’t use it. On the left side is a horizontal row of seven buttons labeled: Standby (for day-to-day power on/off), Display (to change the brightness of the red LED display directly above the buttons), Mute, Monitor (to engage the monitor loop), two Input buttons (for selecting from the various inputs), and MP In. Smack in the middle, dressing up the 350P a bit, is Simaudio’s Moon logo in gold. If you never want to touch the front panel, there’s no need to -- everything can be controlled via the well-built (albeit plastic) remote control. Inside, the 350P is very cleanly laid out and the parts quality seems high. 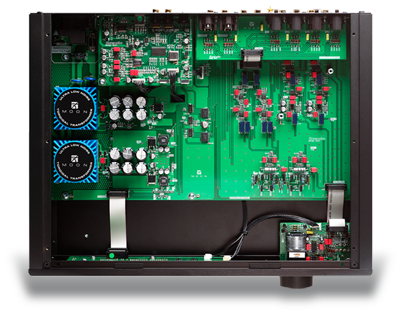 Simaudio says that the 350P’s circuits are fully balanced, something that, properly implemented -- high-tolerance parts matching is imperative -- can greatly reduce noise. 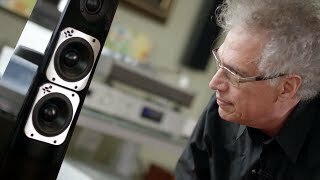 The 350P’s specs are impressive: Simaudio claims a signal/noise ratio of 120dB at full output, total harmonic distortion (THD) of less than 0.0005%, “unmeasurable” levels of intermodulation distortion (IMD), and a frequency response of 5Hz-100kHz, +0/-3dB. 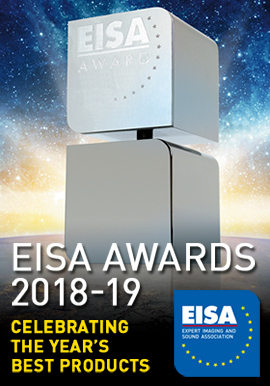 As for the upgrade option, the phono stage’s THD is claimed to be less than 0.001% and its IMD less than 0.009%, while Simaudio says that the DAC section’s signal/noise ratio is 115dB at full output. 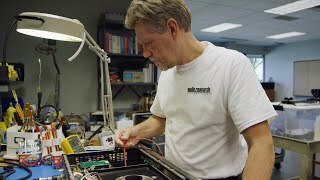 Finally, Simaudio’s warranty is worth thinking about. While some companies still offer what I consider to be the standard industry warranty of five years, others are now skimping, offering three- and even one-year warranties. Simaudio backs the Moon 350P with the same warranty they provide for their far costlier Evolution models: a whopping ten years. Good on them. The Moon 350P performed with complete and utter competence in virtually every way. My review sample turned on gently, and produced no speaker-damaging pops even when my power amp was already turned on. It favored no one type of music. Just the other day I played Bruce Cockburn’s new album, Small Source of Comfort (CD, True North TND 536), followed by Glenn Gould’s A State of Wonder: The Complete Goldberg Variations of J.S. Bach 1955 & 1981 (CD, Sony Classical 87703), and then Guns N’ Roses’ Appetite for Destruction (CD, Geffen 2-24148). I was struck by how evenhanded the 350P was with any kind of music I played, something I attribute to its considerable neutrality or linearity -- in other words, it added no colorations of its own. Add to that a plethora of features -- ample inputs and outputs, single-ended and balanced operation, the DAC and phono option -- and here is a preamp that’s more or less flawless for the price, except for things that are, in the grand scheme of things, insignificant: its pedestrian looks and so-so-feeling volume control. That’s high praise for a preamp that Simaudio considers its entry-level model. What kept me from writing about the 350P for so long (it took me three months longer than usual to produce this review) was this: While I could admire all its qualities and found no serious flaws, sonic or otherwise, I did not find one area of performance that leapt out to eclipse other, more costly preamps. In other words, the Moon 350P was simply not the best preamp you can buy for any price, and, for whatever reason, I really wanted it to be. Was that fair to the 350P? Hardly -- it costs $2500, and no one from Simaudio had promised me the world from it, or anything close to that. But once I realized that the 350P is simply a very good preamplifier, not a state-of-the-art one -- and, more to the point, not priced like one -- I could sort out which were its greatest strengths and get on with writing the review. And those strengths were a high level of performance in every area, something rarely encountered in a $2500 preamp. 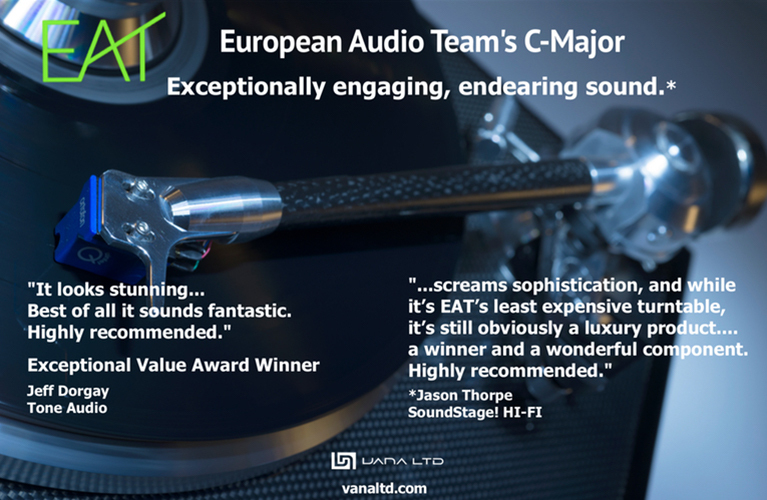 So while I can’t say that the Moon 350P sounded extraordinary in any one area, I can say that it was easily good enough across the board to be the preamp I used most often in the last six months in reviewing a number of products, including extensive comparisons of cables and DACs. The 350P’s neutrality also meant that I could hook it up to a variety of combinations of power amps and speakers and that the arrangement would always work out -- for example, to Simaudio’s Moon 400M monoblocks, which were designed to mate with the 350P, but also to my Blue Circle Audio BC204 and Bryston 4B SST2 stereo amps. The 350P worked fine with all of them. 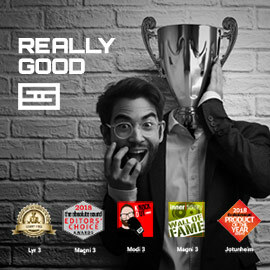 Most of the time I used the Revel Ultima Salon2 speakers, but I also used the 350P with Thiel’s SCS4T and Vienna Acoustics’ Mozart Grand SEs, and again, it always worked well. 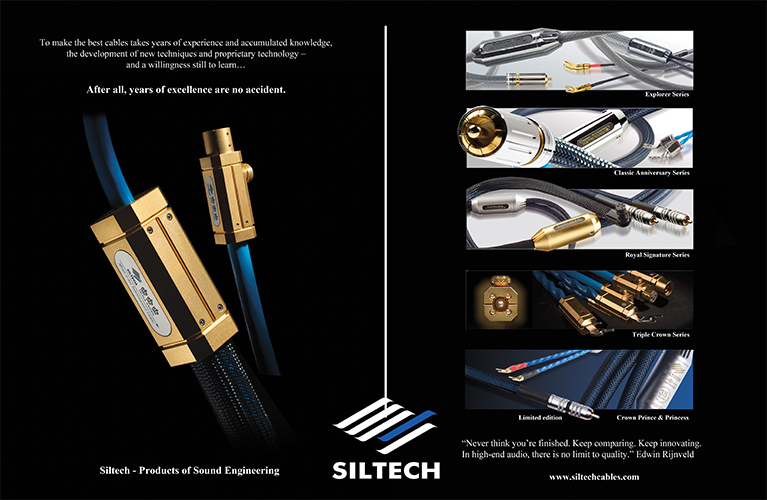 Cables, whether from Nordost, Crystal Cable, or DH Labs, were always suitable. This is in contrast to preamplifiers with definite colorations that work well only with certain other components. The Moon 350P was a rigorously neutral jack-of-all-trades around which an owner can upgrade the rest of a system. And the 350P proved extremely reliable -- I left it on basically 24/7 for over six months, and it never gave me a bit of grief. It was a real workhorse. For that reason alone, I’ll be sad to see it go back to Simaudio. But that’s a reviewer talking -- most people who buy a Moon 350P aren’t going to use it as I did, or brutalize it as I have my review sample. For the consumer who wants no-nonsense, rock-solid sound day in and day out, the 350P offers that in spades. I can’t stress enough the 350P’s neutrality across the audioband and its evenhandedness with every kind of music. What this meant was a component that was basically a completely unobstructed conduit to the source and, as a result, likely won’t be fatiguing to listen to over the long haul. For example, when I listened to one of my old reviewing standbys through the Moon 350P, Ennio Morricone’s score for the film The Mission (CD, Virgin 90567), and my system conjured up a wall-to-wall soundstage that enveloped the front part of my room in a collage of natural-sounding male voices and accompanying acoustic instruments, I was hearing exactly what I think that recording sounds like, based on the many times I’ve heard it through all kinds of systems through the years, and not what the equipment made it sound like. Ditto for Greg Keelor’s voice on his Gone (CD, Warner Bros. 17513): It was up front in the mix, strongly focused in the center of the stage, with a good degree of presence and detail. Again, these characteristics are exactly what I think this recording contains. As far as I could tell, the Moon 350P added nothing and subtracted nothing. But not everyone values textbook neutrality as much as I do. Many audiophiles don’t necessarily want a “straight wire with gain” for a preamp, and opt instead for something that really does alter the sound -- often, a rich-sounding tubed model. I don’t blame them: such colorations can be intoxicating, particularly with certain types of music, and that can help make audio more fun -- for a while. 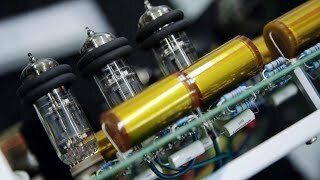 For example, a few months ago I fell in love with JE Audio’s VL10.1 tubed preamp ($5000) -- the way it renders voices is wonderful in its fullness and warmth. The Moon 350P can’t muster up that kind of tubey presence -- its sound is drier, just as you’d expect a solid-state preamp to be. On the other hand, the 350P is half the price and, more important, is the more neutral of the two. It comes down to whether you want your system to be 100% faithful to the source, adding no colorations, or to add some euphonic colorations. Other things to consider are the deterioration of tubes, how long it takes them to warm up, and all the other idiosyncrasies and maintenance rituals that go along with tubed designs. In contrast, solid-state designs tend to work flawlessly for years, even decades. Finally, although I’ve said that the Moon 350P is a neutral, well-rounded performer with no real flaws, that doesn’t mean it can’t be bettered, even by other solid-state designs. The very best solid-state preamps I’ve heard make the strengths of the 350P just a little bit stronger. So while you’re unlikely to find anything more linear (solid-state devices are inherently linear, so even a cheap preamp will be very neutral), superior preamps have even better resolution, greater transparency, and a touch greater you-are-there presence than the 350P provides. Basically, you’re able to hear more into the recording and get that much closer to the source. 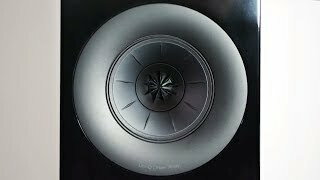 On the other hand, to get noticeable improvements in the sound while retaining all the features of the 350P, you’d likely have to pay twice as much, if not more. I was bowled over by Simaudio’s Moon Evolution P-7 preamp for the kinds of improvements I’ve just outlined, but, good lord, it cost seven grand at the time. That’s a lot of cash. 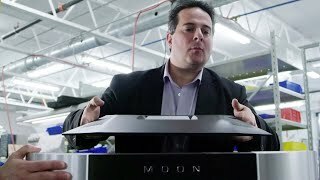 For its $2500 base price, the Moon 350P more than holds its own. The convenience of the Moon 350P’s optional phono stage and DAC can’t be overestimated. I’ve had an off-again, on-again relationship with LPs over the years, but while the 350P has been here it’s been mainly off. As a result, I can’t tell you anything about the phono stage; however; I do listen to a lot of digital, and can tell you quite a bit about the DAC. The biggest knock you can deliver to the 350P’s built-in DAC is that the USB input accepts only up to 16-bit/48kHz resolution, whereas nowadays many DACs, even cheap ones, include a 24/96 USB receiver. But most people still listen to 16/44.1 CD-resolution recordings, so that won’t matter to everyone. Besides, if you do listen to higher-rez music, it’s important to remember that the 350P’s DAC will accept signals up to 24/192 through its RCA or TosLink connectors. For USB connection, you can use one of the many USB-based digital-to-digital converters now available. The performance of the 350P’s DAC was thoroughly competent, with nothing that much excels what you’d expect for the price. Whether processing CDs or signals of higher resolution, the sound of the 350P’s DAC section was exceedingly clean, nonfatiguing, and far and away superior to what low-priced digital sounded like not many years ago. 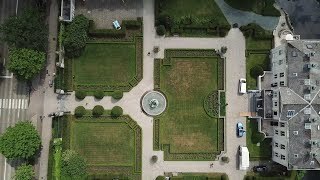 I also heard a tangible soundstage with good width and a credible sense of depth (provided that width and depth had been captured in the recording). The thing about digital playback is that if there’s a flaw -- usually edgy or steely high frequencies -- it often renders the music unlistenable, no matter that everything else has been done right. Just like its preamp circuits, the Moon 350P’s DAC was quite listenable. Where the Moon 350P’s DAC section fell short was when I pitted it against a higher-quality, more expensive external DAC -- the Hegel HD10 ($1200). 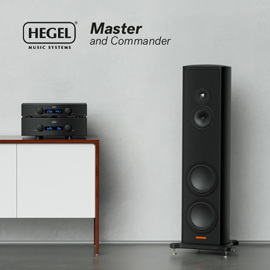 The Hegel has the same 16/48 USB limitation (although, also like the Simaudio, the HD10 accepts 24/192 signals through its other inputs), but its sound was slightly cleaner and a touch more lively, which made instruments “pop” more from the mix. There were also better transparency and more resolution overall, which helped to give me a clearer view of the recording and create a larger stage with even more width and depth. If you have a high-quality external DAC that you’re happy with, you’ll likely prefer it to the Moon 350P, which is what happened to me: I preferred the Hegel HD10. But if you don’t have an external DAC and don’t want to spend a lot of money on one just yet, the 350P’s built-in DAC is an extremely good way to start out, particularly if you’re just getting into computer audio. Simaudio was wise to offer this cost-effective option. Simaudio’s Moon 350P is a high-performance stereo preamplifier for the audiophile masses -- the kind of preamp that many people can aspire to own and can reasonably afford. Its $2500 base price is very fair, and $500 is little to ask for the options of a phono stage and DAC. Still, I think the 350P faces an uphill battle: Its unassuming and rather basic looks mean that it’s likely to be overlooked in this era of shiny, gee-whiz products, many of which come from overseas, where they can be made cheaply. But get past its pedestrian exterior and you’ll find that the Canadian-made Moon 350P is very well built, thoroughly reliable, backed by a ten-year warranty, rich in features, and painstakingly evenhanded with any kind of music thrown at it. 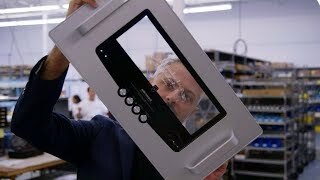 Some preamps are better than the 350P -- those that aspire to the state of the art, including models that cost $30,000 or more -- but many are far worse. The Moon 350P’s biggest achievement isn’t that it does one or two things extraordinarily well, but all the things it does very well while never faltering in any aspect of music reproduction. 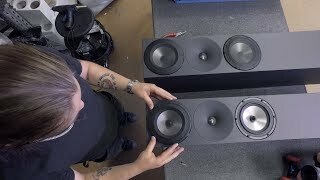 I strongly recommend the Simaudio Moon 350P to those looking for rock-solid performance in every one of those aspects for a reasonable price. Price: $2500 USD; add $500 for DAC and phono option. Doug is correct: the DAC and phono-stage options together cost $500 if purchased with a new Moon 350P, and can't be purchased separately. However, if, down the road, there's a desire to add either of these options, they can be purchased and installed at your retailer: The DAC retails for $500, the phono stage for $400. VP of Marketing, Simaudio Ltd.